Bank of Africa(BOA) kenya management released a notice Friday that was meant to alert its customes and the general public that the lender will upgrade its Core Banking System. 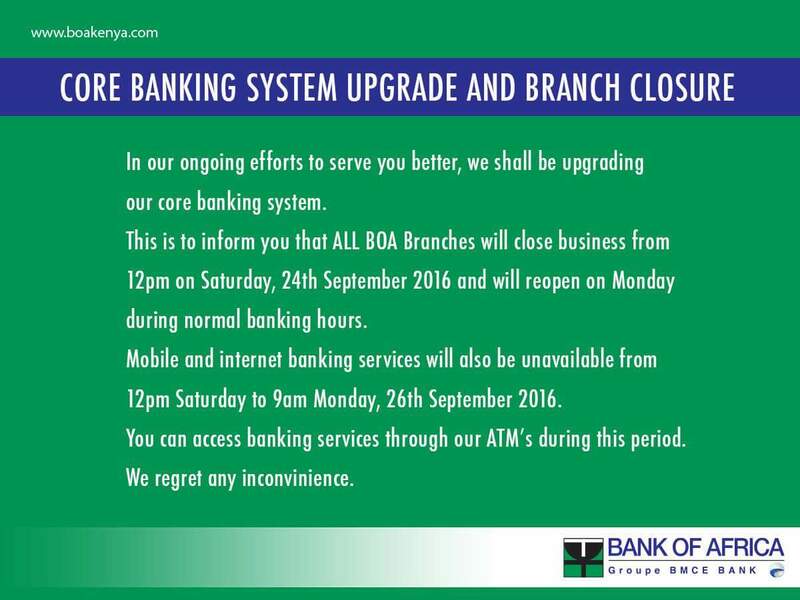 Starting Sartuday 24th September at 12 pm to Monday 26th September at 9am,all BOA branches countrywide will remain closed as usual and its the time the system upgrade will be taking place. 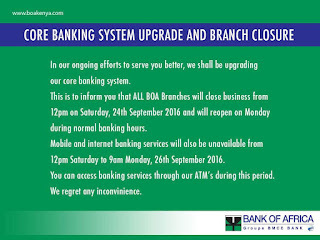 During the upgrade most services will be unavailable to the customers.Unvailable banking services include; access to banking halls,access to internet banking and access to mobile banking through the BOA mobile.The only BOA services available will be the ATM services. 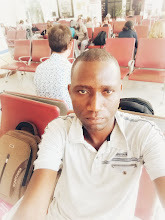 The Core Banking upgrade is meant to serve the lenders customers better than before.BOA becomes the second bank this year to upgrade its system after KCB.